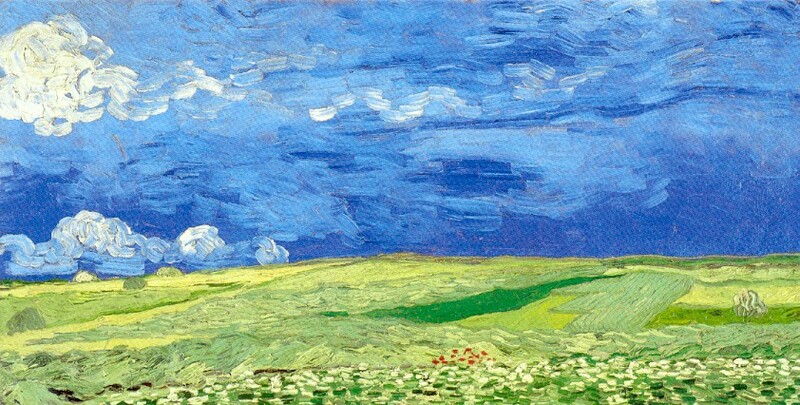 Although cloud watching seems to be reaching ever-higher levels of popularity nowadays, this noble activity has been a favorite pastime of sensitive and artistically inclined individuals long before the advent of modern photographic techniques. A somewhat darker, and at times even disturbing, vision arises in some of Akira Kurosawa’s cinematic masterpieces, such as Rashomon (1950) and Ran (1985). Here, the depiction of imposing cloud formations serves as a symbol for the futility and the ephemeral status of human affairs, signifying the tragic dimensions of man’s passing from this world. “Tell me, enigmatical man, whom do you love best, your father, your mother, your sister, or your brother? Your friends? Now you use a word whose meaning I have never known. Your country? I do not know in what latitude it lies. Beauty? I could indeed lover her, Goddess and Immortal. Gold? I hate it as you hate God. This entry was posted in Books, Film & Music and tagged Baudelaire, books, clouds, Debussy, Film, Kurosawa, literature, music, Nuages, painting, poetry, Van Gogh on May 14, 2013 by The Muser.